A computer, Google's AlphaGo, has beaten a human Go champion. What's next? A Computer Has Beaten a Human Champion at Go. What Next? The ancient Chinese game Go is orders of magnitude more complex than chess. Sometimes it’s fun to look back at old predictions of technological progress and compare them to present-day reality. Other times it’s a little terrifying. On May 12, 2014—less than two years ago—Wired magazine ran an article headlined “The Mystery of Go, the Ancient Game That Computers Still Can’t Win.” It described the ongoing—and, to that point, fruitless—quest by artificial intelligence researchers to build a computer program that could defeat a top human player at Go, a board game that’s orders of magnitude more complex than chess. It did not prove too optimistic. 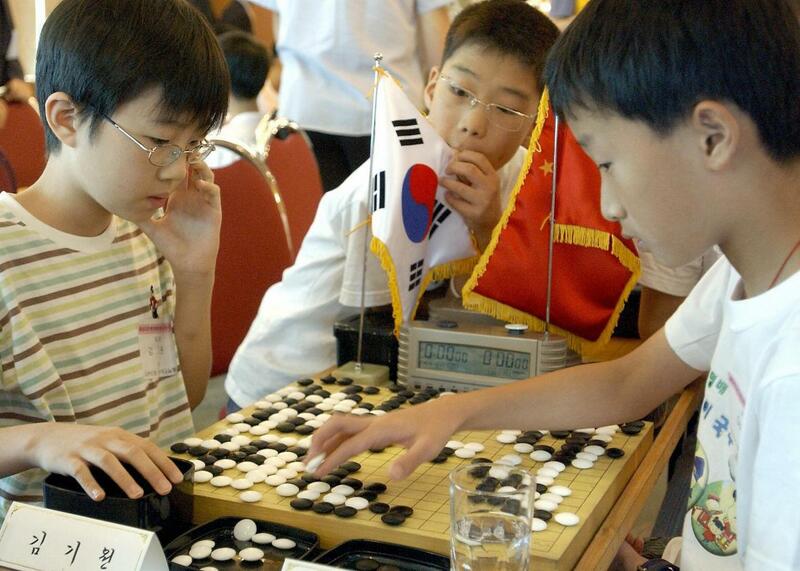 On Wednesday, Google announced that AlphaGo, a program built by its DeepMind artificial intelligence lab, had defeated the European Go champion, without a handicap, in a five-game match last October. The score: 5-0. The next test will come in March, when AlphaGo challenges the world champion, Lee Sedol, in a five-game match in Seoul. Lee is a legendary master of the game, and by consensus the best player of modern times. It will be the Go equivalent of the famous chess match between IBM’s Deep Blue and Garry Kasparov in 1996. And yet it would be a mistake to conclude, even half-jokingly—as many were quick to do in the wake of Google’s announcement—that machines are now intellectually superior to humans, or anywhere close, really. As complex a game as Go is, it isn’t really “a microcosm of the real world,” as DeepMind founder Denis Hassabis claimed to the New York Times. It is a constrained environment, albeit a vast one, in which both contestants have access to perfect information, albeit too much information to fully process, and share the same perfectly defined goal. Real life is simply not a game in this sense, and no algorithm yet devised could begin to approach the mental flexibility required to navigate it in the way that humans do. I’ll hold off on predicting that it will never happen, though. At this rate, just about anything is possible. In the meantime, there remain other games and tasks for computers to conquer. Next on the agenda after Go might be No Limit Texas Hold ’Em poker. A software program in 2014 solved two-person limit hold ’em, but humans still reign at no-limit—for now. Nor has Go been “solved,” exactly. AlphaGo is really good at the game, but it isn’t perfect, nor is it designed to be. And for what it’s worth, South Korea’s Lee is predicting victory in his March match against AlphaGo. “I heard Google DeepMind’s AI is surprisingly strong and getting stronger, but I am confident that I can win, at least this time,” he said in a statement. He may be right. People sometimes forget that Kasparov won that 1996 match, 4-2. That’s probably because Deep Blue went on to beat him in a rematch the very next year.